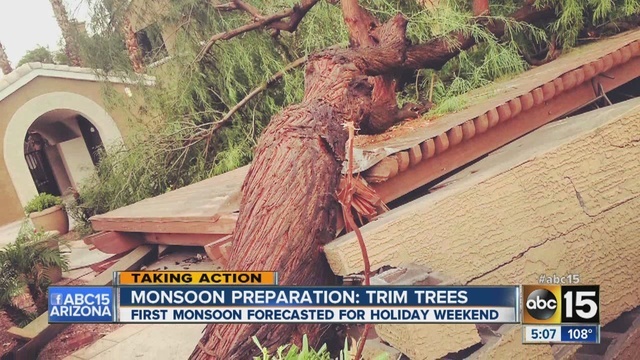 The combination of dry ground and large trees during Monsoon season can make for a dangerous situation and cost thousands of dollars in damage. If you’ve lived in Arizona long enough, you know what it’s like to experience the storms and monsoons that hit our valley year after year. While those storms can bring much-needed rain and respite from the desert heat, they unfortunately sometimes leave behind damage that is much more that just a simple clean-up job. Call our offices today at 480.833.6465 and let Top Leaf do the dirty work after the next storm rolls through. Your satisfaction is guaranteed.